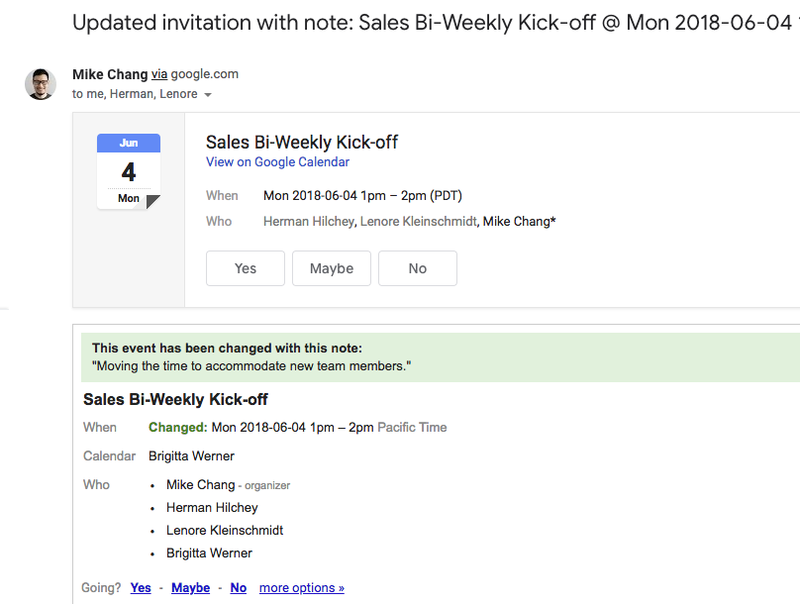 After you send the message, other guests will see your message in the email they receive alerting them to the updated meeting details. 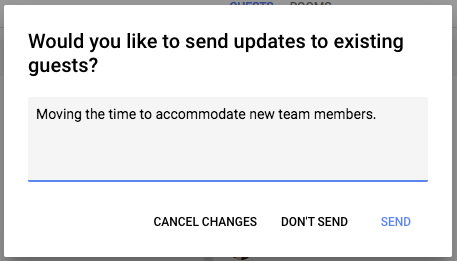 There are many reasons why you’d need to make an edit to a meeting, and we’re now making it easier to communicate those changes. 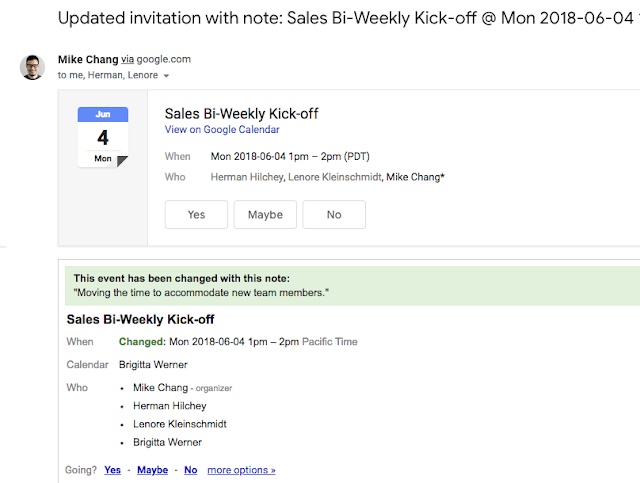 Going forward, when you change or delete an existing meeting, you’ll see a dialog box where you can enter a message for other guests of the meeting.